Outgoing President Pratibha Patil, on Tuesday hosted a dinner for her successor Pranab Mukherjee at Rashtrapati Bhavan. 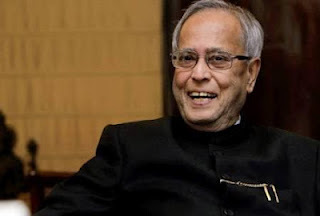 Sources stated that the farewell dinner was held at the banquet hall in Rashtrapati Bhavan. Prime Minister Manmohan Singh and his Cabinet colleagues, with the exception of Sharad Pawar, were in attendance. Mr Mukherjee will be sworn in India's 13th President on Wednesday. Chief Justice S.H. Kapadia will administer the oath of office to Mr Mukherjee at a special ceremony in the Central Hall of Parliament at 11.30 am.